The Salame Brianza PDO is born from the centuries-long tradition of charcuterie-making art from Brianza, rich in experience and technical know-how acquired and passed on during the time. In 1800, Milan was one of the leading places where Salame Brianza PDO was sold, and the salami sold in Piazza Duomo was particularly successful. 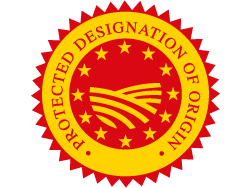 The mark PDO is assigned just to Salame Brianza which is produced in a specific territory in Lombardy – in Lecco, Como and Milan provinces – and which constitutes its traditional production natural area: the Brianza. The Salame Brianza PDO is produced with pork meat which comes from Lombardy, Emilia Romagna, and Piedmont farms. The ingredients and the quantities of its unique and inimitable “recipe” are strictly regulated. The meat is processed using salt, pepper, wine, sugar, and garlic; it’s bagged into the casing and then tied with string or put into a netting. The Salame Brianza PDO is produced in subtle texture grinding (4 – 4,5 mm) or in coarse texture grinding (7 – 8 mm). Drying and seasoning stages lasting depends on the salami’s diameter. Brianza geographic position, characterized by a hill climate and by the ordinary temperature variations, it’s a very positive environment for the salami drying and seasoning stages. In fact, the average altitude of the area is over 350 meters above sea level, out of Padanian fogs. When cut, the Salame Brianza PDO is homogeneous and ruby with a consistent and compact appearance. The fragrance is delicate and characteristic, the taste is sweet and never acid. You can eat it mainly with bread, especially with the hard paste one; the “michetta” shape is recommended. 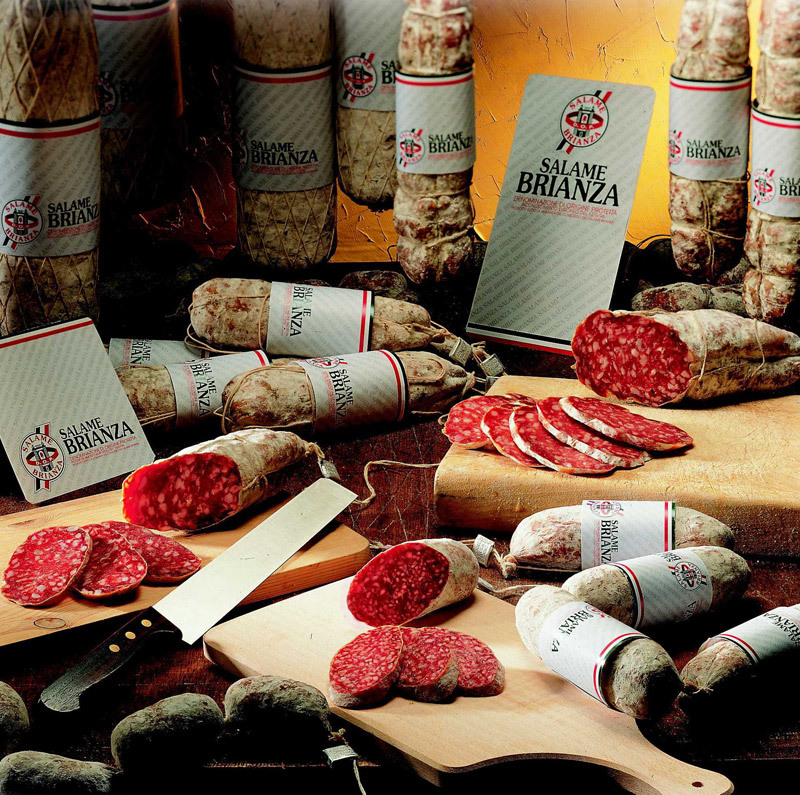 In the beginning, the Salame Brianza PDO was marketed with the name “brig.” It’s a Celtic word which means “hill” and constitutes the etymological root of the word “Brianza.” Once, the Salame Brianza PDO was produced by small local farmers. Smart artisans and grocers took it to Milan, and from there they made it noticed by the rest of Italy and the whole world.